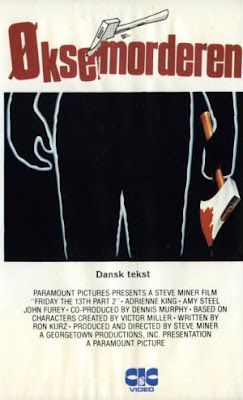 Final Girl: awesome movie poster friday - the FRIDAY THE 13th edition, PART THREE! awesome movie poster friday - the FRIDAY THE 13th edition, PART THREE! Part THREE? Wow. I was worried the last time a Friday the 13th rolled around that I wouldn't have enough material- this time, I was positively beside myself in apprehension and fear. Could there possibly be enough material for a third installment? Surely not...but remember, this is Jason Voorhees we're talking about. He just won't die, no matter what you do to him! Wait, that's not true- he dies all the time, but then he comes back- just like the Awesome Movie Poster Fridays devoted to that series that will never, ever stop giving. Jason and the Friday films will limp along gracelessly long past their sell-by dates. 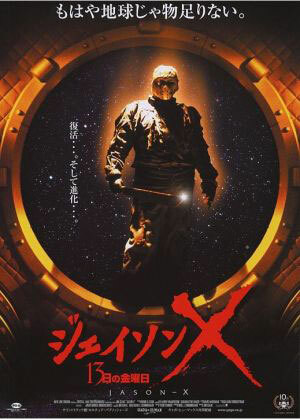 I'm of the mind that even after humanity winks out and Earth is naught but a scorched, arid wasteland, a Friday the 13th sequel will still be in production somewhere. Cher and the cockroaches will buy tickets and watch Jason do what he does so well. There's a strange comfort in that for this horror fan. This edition of AMPF is the equivalent of Friday the 13th, Part VIII: Jason Takes Manhattan. It's a too gooey, a bit anemic, and not at all what you really want, but your memories of editions past have brought you here and you'll see it through to the end. And surely, it must be the end, because where could we go from here? It's a new low, mired in New York City's toxic sludge, and the final nail has been driven in. Secretly, though, you know that's not completely true. 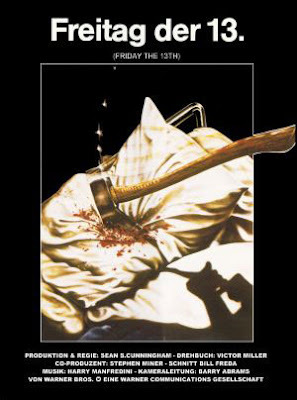 You have a feeling that Awesome Movie Poster Friday: The Friday the 13th Edition will be back for Part IV. It doesn't seem feasible, but it'll happen and you'll be right there to look at it, hating yourself the whole time. You're doomed! VIVA LA VOORHEES! For further study, please consult your local librarian or simply click: AMPF: F13 Part One / Part Two. 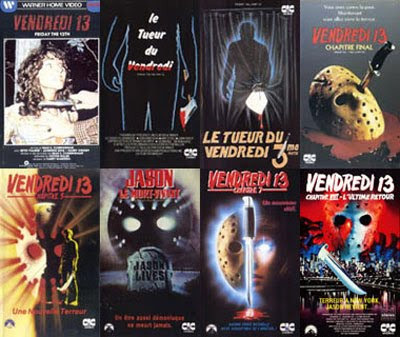 Check out the rad French VHS covers below! I done got 'em here. wow. i came here to tell you about how i just did a mini-review of all the friday 13th movies over on my blog, and here i find you have one of your own up. This post is officially, currently in my pants. But, in a respectful "I'm Okay-You're Okay kind of way. 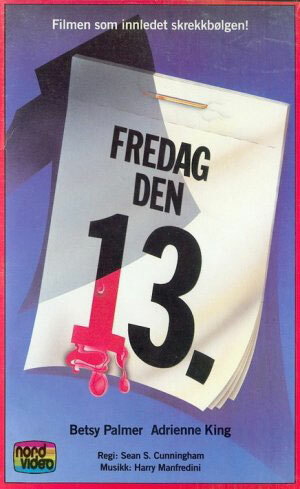 Simply an awesome collection of F13 images/posters. Brings a tear to my jar-encased eyeballs. How many Jason Voorhees does it take to change a light bulb? AJ, that actually made me laugh. Thank you, and I will be sharing this with my friends at a later date. I don't know what "Filmen som innledet skrekkbolgen!" means (where's Bill?) but I think it should be the tagline for every horror film. I want to hear a deep-voiced announcer say it many times. Hey Slyde, I did the same thing on Friday, although I limited myself to one sentence per movie.